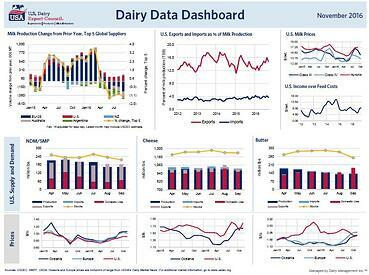 The November Dairy Data Dashboard is live and ready for download in PDF format here. In addition to the dashboard PDF, you can drill down and visualize global market data on the same page using four supplementary interactive charts located below the dashboard. See the latest issue of Global Dairy Market Outlook here to get data and analysis of the state of global dairy trade.